Last week, I shared with you my top 5 fave herbs for healing. Thanks to the dialogue that followed, I learned of additional herbs I want to incorporate into my diet more often! As I’d mentioned in the article, the best way to take your herbs is as food. And my most-loved method of enjoying herbs is through infusions. I am often spreading my love for infusions with my patients, whether their focus is on fatigue, anxiety, stress, thyroid imbalance, fertility, or the common cold. 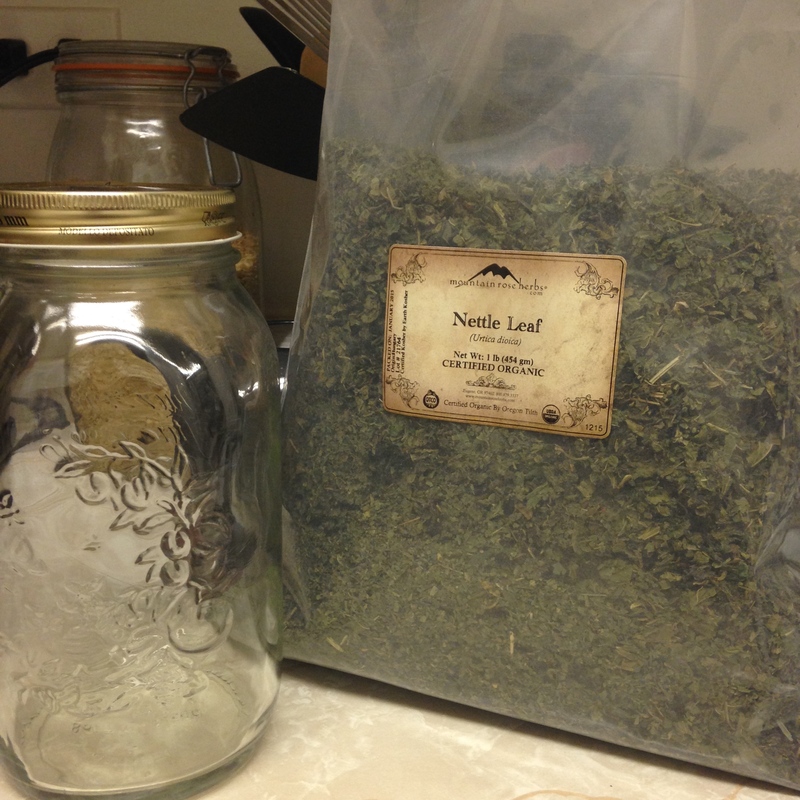 Getting started – a mason jar and a bag of my dried herb of choice. Photo from my personal collection. An infusion is basically a large of amount of dried herb that is brewed for a long period of time. Fresh herbs are nice; but, for maximum healing benefit, it’s best to use dried, chopped herbs. Think tea has wonderful properties? It does. But, infusions are like tea on steroids! I’m not referring to the ‘roid rage, but to the intense nourishment that ensues when you give that herb time to stew and release its properties into the infused water. 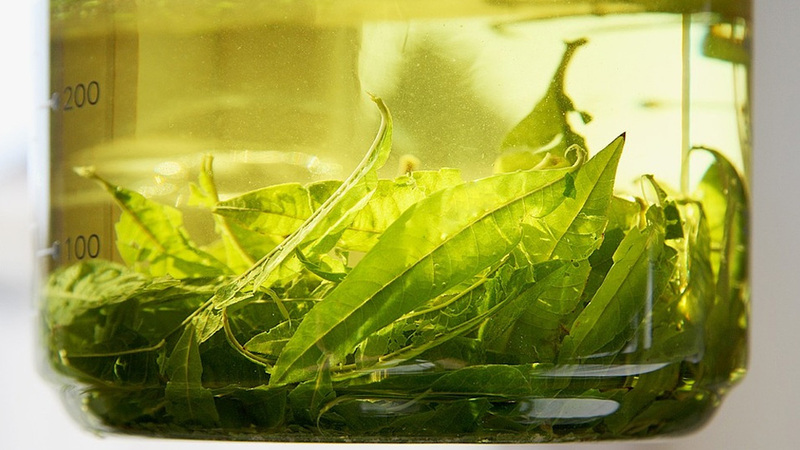 Technically, tea is considered an infusion of herb. But, the kind of infusion I’m referring to here is the long-brewed kind. As I’d mentioned in my previous article, I first learned about infusions after doing a lot of research on my ancestral roots. I came upon learning about Western herbs, which turned out to be my first official dip into the ocean of all things healing. I first learned about herbal infusions from Susun Weed. I’ve adapted some of her infusion-making techniques in this how-to article, with a definite personal spin! If you’re trying to address a specific health concern, there are certain herbs out there that you can infuse to help you address it. An ounce of dried herb, roughly measured at a handful. Photo from my personal collection. 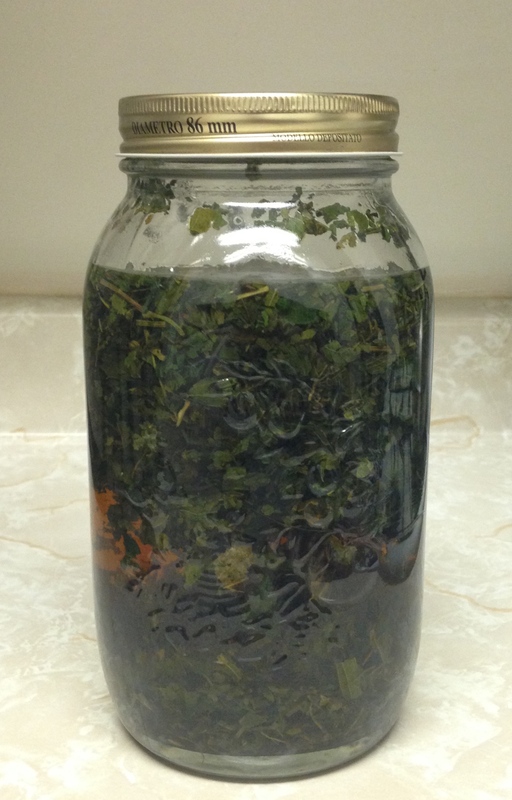 For instance, an infusion of nettle builds energy, strengthens adrenals and kidneys. It also supplies a healthy dose of magnesium, potassium, silicon, boron, zinc, as well as Vitamins A, D, E, and K. It creates a beautiful dark green infusion. In fact, nettle is such a nourishing herbal superstar, it was at the top of my 5 fave herb list! Likewise, an infusion of linden flowers is not only pretty to look at. It is also anti-cold, anti-flu, and is very soothing and loving towards the lungs and guts. 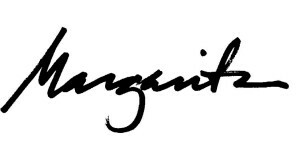 And, the list of herbal benefits goes on! Take an ounce of dried herb, and put it in the jar. An ounce of dried herb is roughly one handful of dried herb. It can also be measured about a cup by volume. Since my jar is larger, I place 2-3 ounces of dried herb in my jar. Bring a pot of water to a boil, and fill the jar of herb to the brim with water. Mix the contents of the jar with a long-handled spoon, and lid tightly. After a few minutes, you’ll hear the lid pop as the vacuum effect takes place. Let it stand overnight. This is when the magic takes place, and the vitamins, minerals, phytochemicals, and plant energy are infusing into the water. Technically, if they’re berries or seeds, you could steep it a minimum of 30 minutes. If the herbs are flowers and leaves, you could steep it for a minimum of 2-4 hours. If they’re roots and stems, you could steep it for a minimum of 8 hours. I usually use Western herbs for infusions. But, there is some similarity when cooking Chinese herbs. This is because when you do a decoction of a raw Chinese Herbal Formula (taking the actual raw herb and cooking it in a pot) the more aromatic herbs and substances, and fresh herbs, are often added in the last 5-10 minutes, since they don’t need a long cooking time. Personally, I prefer to let infusions stand overnight for optimal effect, and also because it’s easiest when you want to make a quick yummy infusion right before going to bed. When I wake up, my fresh brew is ready to pop open and serve! In the morning, strain out the liquid – I use a tea strainer while pouring out my infusion into my cup/mug/thermos. As you get to the bottom of the jar, squeeze the herbs to get the last juicy bits. Voila! Instant nourishment straight from Mama Earth. Place your herb in your mason jar. Photo from my personal collection. Drink a cup or more after straining. Refrigerate after opening to keep the nutrients vital. It should last about 2 days. It may keep longer than that, but use your nose to check for spoilage after 2 days. If you think it’s on its way out, use the excess infused water to water your plants, or rinse your hair with it as a leave-on treatment. This is especially true of nettle, which helps build thick hair, when drinking it internally and using it topically. I don’t recommend microwaving your infusion to warm it up after refrigeration, since this may kill off some of the nutrients. The same is true after decocting a Chinese Herbal formula and refrigerating it. If you like, you can leave it out and drink when it becomes room temperature. In Chinese Medicine, cold drinks can damage the Spleen, which can hinder digestion. This is why I recommend drinking your infusions at room temperature, if possible. 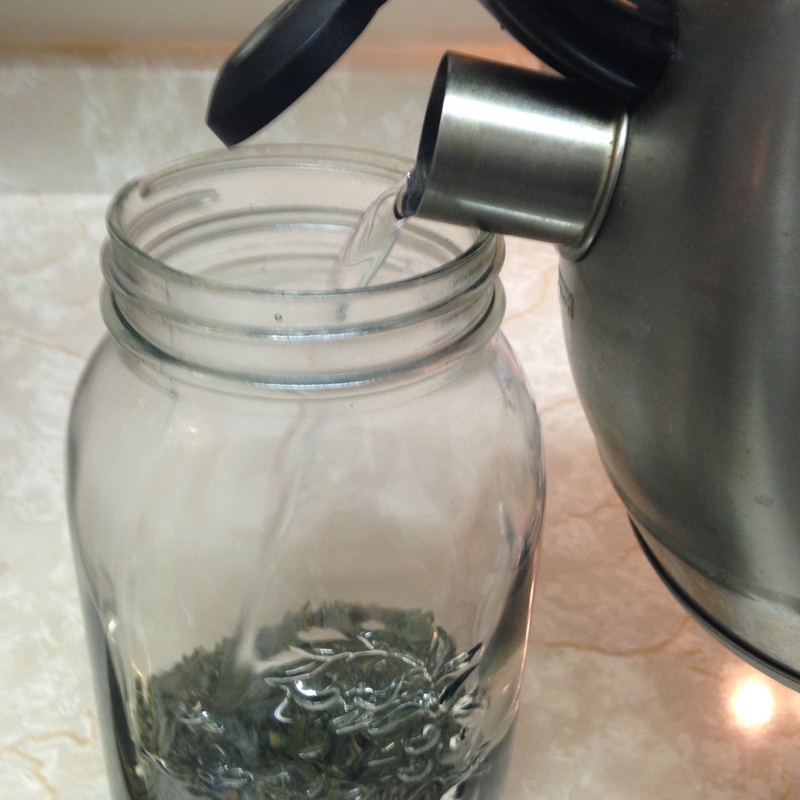 Fill the mason jar to the top with boiling water. Photo from my personal collection. Some herbs, like red clover, lemon balm, oat straw, and peppermint are easiest on the palate. 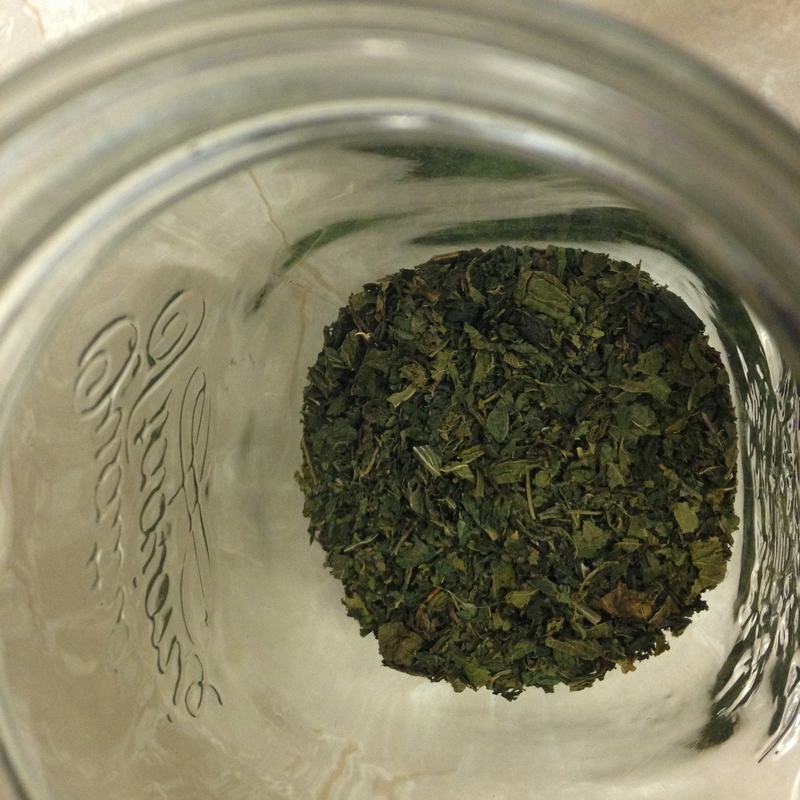 Herbs like nettle are very earthy, which I enjoy; but, I do realize that earthiness can be an acquired taste! If an herb is too strong a taste for your palate, try adding a dash of peppermint or bergamot to the mix (although, not too much, or else you’ll be overwhelmed with a whole lotta mint and citrus!) I don’t recommend honey to taste, but you could try a little pink himalayan salt. Drinking 2-4 cups a day is normal. I typically get in 2 cups a day by carrying it in a thermos for easy carry to my office. I then enjoy it in between patients, and while I’m hanging out doing my patient charts. When first making infusions, start with single herbs. This will help you get familiar with the properties of the herb, and you’ll be able to identify the benefits you can feel in your body. Later, have fun branching out and combining various herbs into a single infusion! 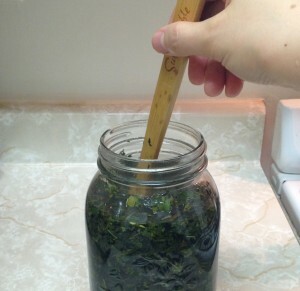 Mix thoroughly with a long-handled spoon to saturate the herb. Photo from my personal collection. During summer, try pouring your strained infusions into popsicle molds, and enjoy nourishment while cooling off! This is probably the only time I’d encourage cold drinks. I often source my herbs from 2 places: if you’re in New York City, check out Flower Power in the East Village. Lata, the owner, and her friendly, knowledgeable staff, are wonderful! If you’re not in NYC, or if you’re a busy bee and need the organic herbs delivered to your door, Mountain Rose Herbs are a great resource. 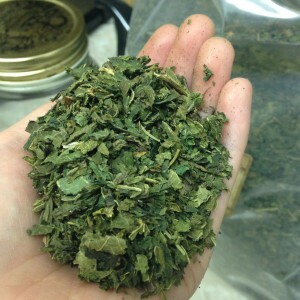 Mountain Rose Herbs is also wonderful if you need herbs in bulk. Their prices are great, too. If you enjoy herbs and wellness, I guarantee that you will enter these two places (literally and virtually) and feel like a kid in a candy store! Voila! Earth love in a jar. Photo from my personal collection. If so, what is your favorite and why?